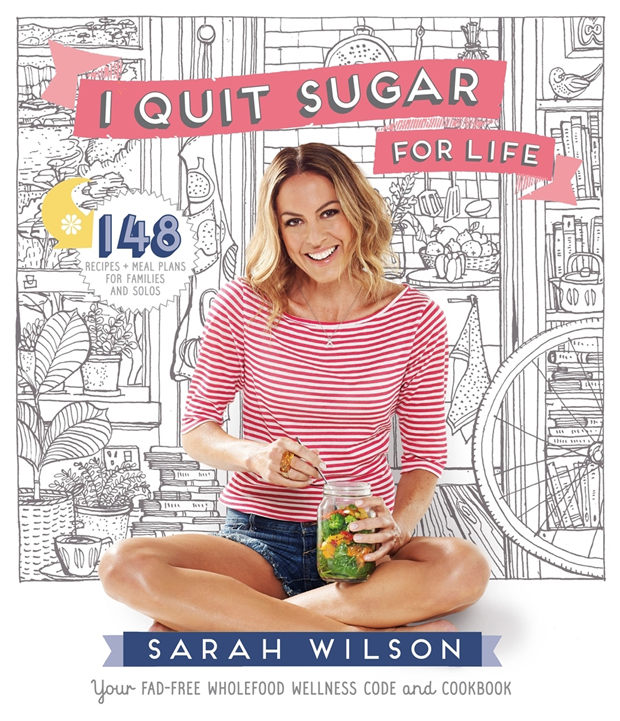 I recently received a review copy of Sarah Wilson’s new book I Quit Sugar For Life. 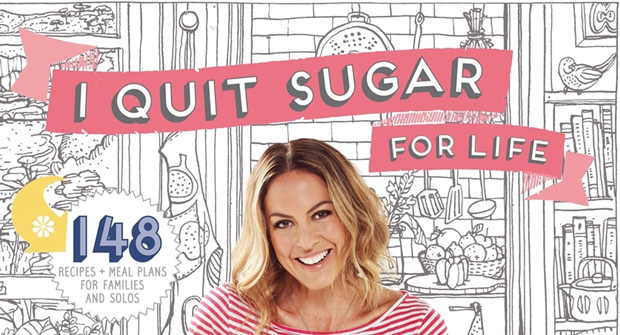 This book is a follow up to her successful first book I Quit Sugar. You might be wondering why isn’t this in the review section of my blog? Well, this book warranted more than just a review….why? Well let me give you a bit of background. Since having my three kids I’ve carried a bit of extra weight (BC I was a size 8-10, AC I’m a 12-14) and I’ve found it very difficult to shift – believe me I’ve tried. When I got pregnant with my third child I was in my late 30’s and thought it best to see an obstetrician, all my other pregnancies were through the ‘public system’, which was totally fine, but being a bit older this time I thought it best to be monitored a little closer. It was probably a good idea. I developed gestational diabetes which was initially managed by diet and later by insulin injections. I was seeing a dietician and an endocrinologist. Along with the gestational diabetes I was diagnosed with an under active thyroid. According to my endocrinologist I had had an under active thyroid for quite some time but it was never picked up (or treated). This probably explains why it was more difficult for me to lose the weight gained from my previous pregnancies. I now take thyroxine daily to control my under active thyroid, but even with medication, losing weight is still difficult. Another thing that was picked up by the endocrinologist (which I already knew) was high cholesterol. This kind of runs in my family. I’ve always been in the high 5’s when I get a test done. A while back the ABC’s Catalyst program ran a two part series titled – Heart of the Matter. The series challenged the current theories on causes of high cholesterol, the bad wrap saturated fats get and the use of statins. The series caused quite a stir – to say the least. I found the program and theories and evidence raised very interesting (given my cholesterol issues) in particular the notion of saturated fats not being totally evil after all. One thing that stayed with me was that sugar may have been the culprit of heart disease and poor old cholesterol was just trying to fix the damage…anyway watch the series and decide for yourself. So back to the book… when I received I Quit Sugar for Life it was like a light bulb moment. I haven’t read the first book but I did download the I Quit Sugar 8 Week Program ebook. Both I Quit Sugar for Life and the 8WP ebook raise some pretty solid, in-your-face facts about sugar. How much we consume and our addiction to it. I could also relate to Sarah’s struggle with a similar thyroid condition to mine. I Quit Sugar for Life is well researched and full of information, yet easy to read (and understand). 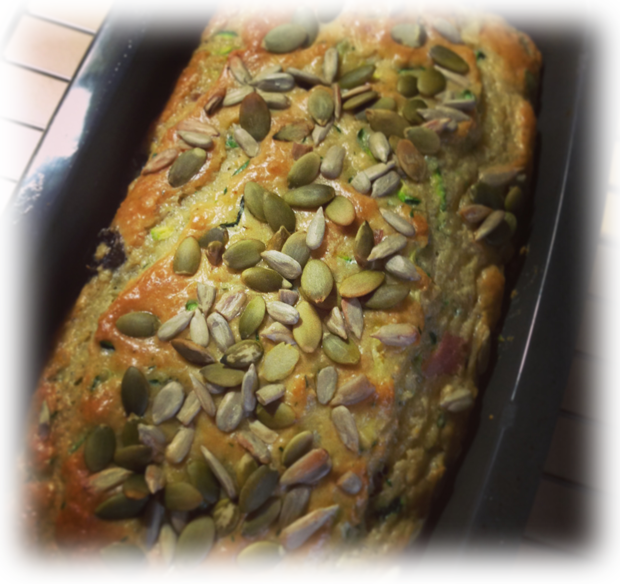 There are some great recipes that even an amateur like me can master. So have I quit sugar? – no, not entirely. I have however made substantial changes to my diet. I suppose the biggest thing I have gained from this book is awareness. I read ALL food labels and am able to work out that the ‘sports’ drink my son loves has 11 teaspoons of sugar in it (no that’s not a typo). I have cut out fizzy drinks and don’t have sugar in tea or coffee. I am more aware of the unnecessary sugar I have in my diet and have made changes to reduce it. I will eventually go further with my no sugar quest but with an overseas holiday and foot surgery coming up over the next few months it’s probably best I make major changes after that. 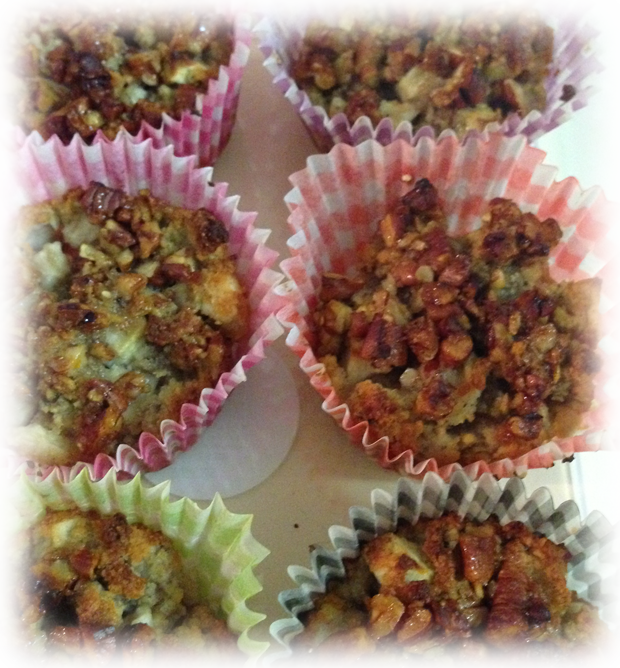 My attempt at Not-quite-apple-crumble Muffins. With so many ‘diets’ and nutritional advice out there I think that I Quit Sugar for Life is sweet relief (pardon the pun). I’m actually really happy I finally put down the lemonade and ice cream and gave Sarah’s second book the time and attention it deserves. This whole sugar-thang is something I will continue and I’ll post updates of my journey from time to time.